The world of podcasting has experienced a significant boom in recent years. No matter what you're interested in, there's probably a podcast about it. Podcasts are easier to make than videos and their lack of visuals means they can be enjoyed by everyone just about anywhere. 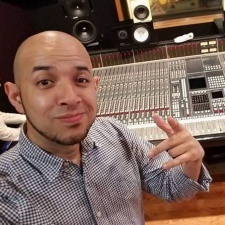 Florida-based podcaster Danny Pená has seen it all. After getting involved in radio way back in 2001, Pená launched his own internet-based gaming show - GamerTag Radio. When Pená launched GamerTag Radio back in 2005, there was no easy way to build an audience. There was no YouTube, Spotify or SoundCloud. Even iTunes didn't have a podcast section back then. If you wanted listeners, you had to go out and find them. Pená was tasked with building an internet community before the internet became a community. 13 years on, the show is still flourishing and Pená has countless tales of success and failure. He saw the rise of the podcast format and he's ridden alongside as it evolved into one of the most popular forms of entertainment. He's also made an award-winning independent movie chronicling his life and times as a podcaster. Pená is here to chat about his long journey into the world of podcasting, with insight and advice that can only come from someone who's been doing this longer than most. InfluencerUpdate.biz: First off - introduce yourself, who are you and what do you do? Danny Pená: I'm a podcaster. I started internet radio back in 2001, and at the time I was doing it to promote a game for the Sega Dreamcast. That was kind of the first experiment. In 2005, I launched my own podcast - GamerTag Radio. The podcast turns 15 years old in February. What we do is we interview developers, we talk about stuff going on in the gaming industry, and discuss the business side of games. We also travel a lot to check out different studios and see games that are still in development. 14 years is a long time! What are the standout moments of being a podcaster for so long? The thing I love the most is talking to execs from companies. Sometimes from the outside we think 'oh it's just a brand' and we forget that a lot of people at these places - even the executives - are just human. As an example, we've had Phil Spencer from Xbox on our show before. We've chatted to people from Playstation, Nintendo, Ubisoft and such. I love talking to people that have worked across multiple projects and learning about them. How do you think the radio and podcasting space has changed since you started back in 2005? Back then it was a lot harder for people to discover shows, there were no smartphones or social media to look at. So the only way someone could listen to a show was to go to a website and download the content. Nowadays, people can promote their shows on social platforms and listeners can just tune in whenever. The promotion was also a lot different then too. When we launched in 2005, iTunes didn't even have a podcasting section. I couldn't promote the podcast online so I had to go to different local stores here in Miami to pass out flyers to people waiting to buy the games we were talking about. The launch of Apple's podcast section also helped popularise podcasts, which helped us along a lot. Now it's really easy to find shows but back then, no one could find you. Don't wait for your community to find you, go out and find your community. Get out the house, go to meetups and events, network with people. Has there been any points in those 14 years where you've wanted to give it up? When I started in 2001 it was different because I was in college and doing other stuff. In 2005 when I launched GamerTag Radio, that was when I started to take it seriously. I launched GamerTag with my brother, who actually stopped doing the podcast a long time ago. After that, I was doing a lot of things by myself. Don't wait for your community to find you, go out and find your community. There was a time where we had gotten really popular, and the people that didn't like us were just waiting for a good time to trash us. It got to a point where so many people were just slamming us and I truly was just going to stop. My fiancé was actually the one that talked to me and said 'look you've been working hard for so many years, don't stop now'. That was around 2008 and I kept going and everything's been good since. Do you feel that being an 'influencer' comes with a level of responsibility? Even from the beginning I always felt like you should be real with your community. Good or bad, you should let them know what's going on. I feel like our community is really smart, and they can tell when you're faking it. We've also had opportunities with certain sponsors who were offering a lot of money to be involved with the show, but I just felt uncomfortable with some of the products they wanted to promote. It doesn't matter how much money it is, we shouldn't promote products we don't like to our own community. For example, there was an e-cig company that wanted to promote on our show. We didn't want to promote that to our younger listeners so we declined. I think a lot of influencers nowadays will say yes to things because it's a quick way to make money, but money just isn't everything. You need to do it the right way. The podcasting space is super saturated right now. What's a good way to break through the noise and get your podcast discovered? Just be yourself honestly. If you start something up following a trend then you're going to be doing the same thing as everybody else. If you're doing something unique, you're more likely to build a community of people that want to listen. It's worked for us, and now in some cases, we're the only podcast to be invited along to games studios and events to cover them. Be unique, be yourself and try to not copy other people's formula. I think it's better to focus on growing a community first. Don't look at numbers or even think about business at first. We were going for about a year before we got our first sponsor. The U.S. Navy sponsored us for 3 months back in 2006. We were focusing on our content and really engaging with our audience which helped us build even more, and then companies began to approach us as a result. And what advice would you give to people wanting to start a podcast? If you only have the money to get cheap equipment at first - do that. Don't waste money you don't have on trying to get the greatest mics and gear. At the end of the day, it's your content that matters. When I was making my movie, I purposefully edited the whole thing using iMovie, a free Apple editing software. The movie has won awards and people loved it and that was because of the content, not the equipment it was made with. When I started in 2001, I used a tape recorder. I was meeting people from Microsoft and PlayStation - I even had the opportunity to meet Bill Gates - and I just had a cheap tape recorder. What are some of the personal highlights of your career so far? Besides traveling (which is awesome) I got inducted to the podcasting hall of fame this year, and I was the first Latino to do that. There was this conference called Podcast Movement and they have an awards show called The Academy of Podcasters. It doesn't matter how much money it is, we shouldn't promote products we don't like to our own community. Another highlight was I got to do a show on the Discovery channel in America because of my podcast. My movie has also been selected to be shown at film festivals as well which is a pretty cool highlight. We also did a party a few years ago; we do parties a lot to celebrate the podcast's anniversaries and stuff. There was one year that the Superbowl was happening in Miami so we did a party here and we promoted it a lot. 24 hours before the party started, the Miami Times named us the number one Superbowl party in south Florida. We were an independent company up against huge million dollar businesses also hosting parties in the area and they put us number one. The next day, people were queueing at the venue from 6am just to come to the party. People were sleeping on the sidewalk and we had about 1000 people wanting to come in and check out the things we had going on. That was such a cool moment. I also love just heading out and meeting with the community. Whenever I give a shoutout and say we're going to be in a city, people come out and get together to talk about the podcast. I love hearing feedback about the show - seeing what people love and finding out what we could do better.